Full Monterey Bay view in Pacific Grove. This lovely ocean front 3 bed, 2 bath home with large living/dining room, fireplace, TV/VCR/DVD, piano, has a fabulous unobstructed view of the bay with big wrap around deck overlooking the water with BBQ and outdoor dining facilities. Laundry room. Master w/queen, TV, and bath. Second w/queen. Third w/queen and twin. Offstreet parking for up to 5 cars. See Lover's Point. Walk to Cannery Row and PG village. Passes to the Monterey Bay Aquariun available with rental. 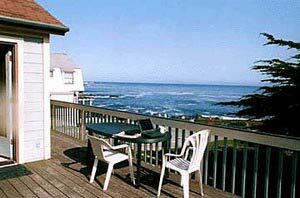 See pictures of this home and other rentals at web site www....com/montereyrentals . 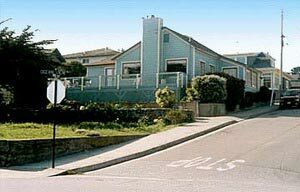 See some of our other listings at www....com/montereyrentals including 2 & 3 bedroom houses and 1 and 2 bedroom condos with water views. Let us make your stay a treat! Famous Cannery Row with Monterey Bay Aquarium is walking distance. Fishermans Wharf is nearby. Beautiful beaches close. Biking and walking path along water is a few steps away from your door. White water views. Watch sea otters play in the surf below. All major holiday months are at peak rates. Discounts for extended stays. Out of season specials. Deposit: $500 to hold with balance due 30 days prior to occupancy. Cancellations and Refunds: May apply. Other Fees: Add 3% for use of charge cards.